Genome editing, the type of genetic engineering process that involves synthetic modification of DNA has suffered from various technical issues - one of them being "off-target" editing errors. A team of researchers from the Broad Institute of MIT and Harvard has collaborated with the scientists from McGovern Institute for Brain Research seem to have found a solution to this long-existing problem. They have created a new technique called 'CRISPR-Cas9 system' that makes it possible to precisely target a DNA's modification. By re-engineering the system, the team has dramatically cut down on editing errors and they believe that it can significantly advance future human applications. The researchers used the protein Cas9 to alter the DNA at a RNA-specified location. The RNA's sequence is such that it matches that of the target site. Cas9 protein is really efficient at cutting its target site. However, once it gets inside the cell, it has a tendency to damage other non-targeted sites, which results in undesired edits - a harmful effect that could completely alter the gene's expression. In some cases, the gene could get knocked out and that could lead to development of life-threatening diseases such as cancer. The MIT, Broad team conducted experiments where they altered 3 out of 1400 amino acids that make the Cas9 enzyme from S. pyogenes. They found that they could reduce the off-target editing to undetectable levels. They essentially replaced some positively charged amino acids with neutral ones to achieve this. 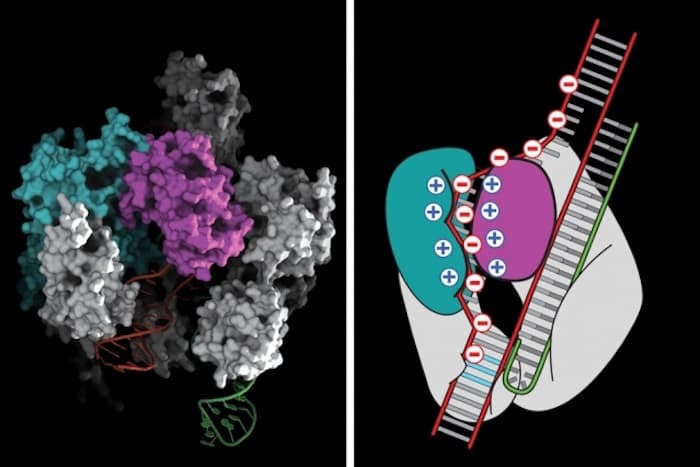 The re-engineered enzyme, which the team has named as eSpCas9 (or enhanced S. pyogenes Cas9) will help in future genome editing applications where highly specific details are needed. The team is aware that their research work gives rise to various ethical concerns and the society is bound to raise questions. It starts with whether we can edit genetics of unborn babies without their consent and the overall role of human beings in making permanent changes to our genetic code. The question of ethics has been gripping the scientific research in this field for more than two decades. The first signs of societal concerns arose when in 1980s, scientists started practicing crude forms of genetic editing. In the research paper published in the Journal Science, the researchers - Ian M. Slaymaker, Linyi Gao, Bernd Zetsche, David A. Scott, Winston X. Yan and the lead author Feng Zhang have described their work in detail. The technology is still in its nascent stage and the MIT-Harvard researchers admits that they have still got a lot to understand and apply before their work can move from labs to real clinics. What are your thoughts about genome editing? Share with us in comments below.